DW is now working with TRT Türk to broadcast “DW ile Avrupa” – a program that delves into German and European politics, business and culture. “DW ile Avrupa” has reports and features produced by DW’s Turkish department and will be aired every Friday, with repeats on the weekend. The show is supplemented by individual segments from DW’s television magazines European Journal, Made in Germany and People and Politics to fully accommodate Turkish audiences’ needs. Moderator Özlem Coskun hosts the show. Following Polish, Romanian, Albanian, Croatian, Bosnian and Macedonian editions, the Turkish show is DW’s seventh to be produced in its Bonn studios for the central and southeastern Europe target area. DW’s Turkish department has been on the air for 50 years. DW-TV ASIA+ is now available for the first time via direct-to-home in Mongolia. Deutsche Welle recently signed a contract with DDishTV, which will make DW-TV ASIA+ available nationwide, 24 hours per day. DDishTV is the only direct-to-home provider in Mongolia, providing its 50,000 subscribers with 20 channels using the Apstar 5 satellite. DW-TV ASIA+ has also been integrated into two additional cable packages in Taiwan. SAN DA CATV has more than 83,000 subscribers and offers about 50 channels in Changhua. And Kuo Shen Cable has around 50,000 subscribers and is available in Zhongpu and the Chiayi province. 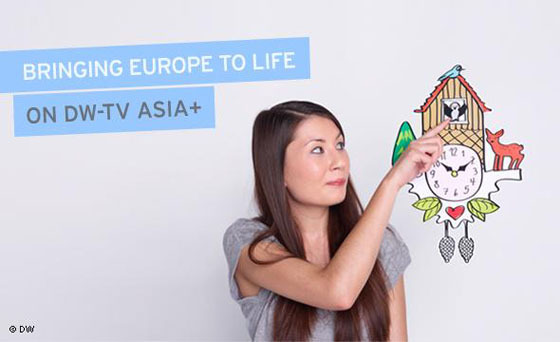 In addition, euromaxx and Arts.21 are now being shown in the line-up from OKTO – the public broadcaster in Singapore. OKOT is available nationwide over terrestrial satellite, satellite, cable and DVB-T.
Deutsche Welle has been working with the Turkish television channel TV8 since the end of July 2011. Now, this cooperation has been expanded to include video-phone services. DW journalists from the Turkish department deliver expert commentary twice a week via video phone and are included as a live feed during TV8’s morning news program. DW has also signed a deal with “UPC Magyarország” – the largest cable operator in Hungary. DW-TV will now be included in the digital package “Európa csomag”, with eight other European channels. DW and its team from New Media has developed a new WebDoc that takes the user on an interactive journey through the Favelas in Brazil. Christoph Kober shows the other side of Rio de Janeiro, with illegally-constructed houses, horrible supply of power and water, and streets that are normally controlled by violent gangs. 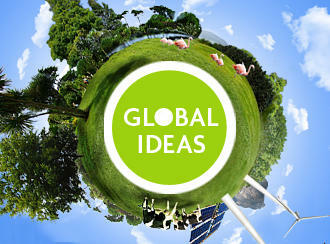 Manguiera – Life in a Rio de Janeiro Favela is the latest infotainment application from Global Ideas. And, speaking of Global Ideas, the series recently won three design awards from the PromaxBDA World Gold Awards, including gold for “Art Direction & Design: Topical Campaign – News” and silver for “News, Open/Titles” and “Total Package Design – Print”. Two weeks after the successful start of the cooperation with the Russian business TV channel RBC, DW started a similar project with the Russian IPTV channel Dozhd. Experts from the Russian editorial department in Bonn will be reporting three times each week on current topics and events. The broadcaster has been live since March 2009 and attracts a predominantly younger target audience. DW-TV is now also part of the Turk Telekom network in Turkey. DW will be included in the Web-TV platform TivibuWeb which offers more than 90 channels and serves more than one million subscribers in Turkey. DW will also be included in Turk Telekom’s newly-launched IPTV service Tivibu Ev, which offers 113 channels and already has more than 22,000 subscribers.